MICROSCOPE has shown that gravity tugs objects at the same rate. A key tenet of Albert Einstein’s general theory of relativity has passed yet another test with flying colors—and for the first time in space. A French satellite experiment has shown that objects with different masses fall at exactly the same rate under gravity, just as relativity dictates. The result is the most precise confirmation yet of the equivalence principle, first tested more than 400 years ago by Galileo Galilei. “The mission appears to have performed fantastically,” says Clifford Will, a theoretical physicist at the University of Florida in Gainesville. Physicists scrutinize the equivalence principle because any violation could point to new forces of nature that might resolve a long-standing impasse between general relativity and quantum theory. The satellite, called MICROSCOPE, found no discrepancy in the acceleration of two small test masses to about one part in 100 trillion (1014).That’s more than 10 times better than the most sensitive ground-based experiments, which look for disparities in the response of weights to Earth’s spin. The €200 million MICROSCOPE, launched by France’s space agency CNES in April 2016, benefits from avoiding terrestrial vibrations. It relies on a pair of concentric cylindrical shells a few centimeters long. The outer cylinder is made of a titanium and aluminum alloy, whereas the inner one is composed of much denser platinum and rhodium. As the spacecraft orbits Earth, the cylinders are in continuous free fall. Electrodes monitor their position and keep them centered by applying tiny voltages to nudge them electrostatically whenever they stray. As the satellite traces out a 1.5-hour-long orbit, a characteristic rise and fall in the difference between the two applied voltages would indicate that one of the cylinders is falling slightly faster than the other—and signal a violation of the equivalence principle. 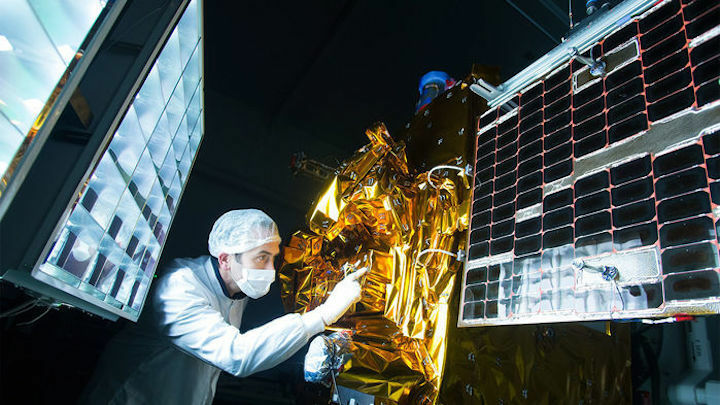 After more than 1500 orbits by the satellite, the MICROSCOPE team—with researchers from France, Germany, the Netherlands, and the United Kingdom—found no such signal, they report in an accepted paper at Physical Review Letters. With another 900 research orbits before the mission ends next year, the team may reach its goal of confirming the equivalence principle to one part in a quadrillion (1015). Will says that so far, the measurements don’t rule out any specific alternatives to relativity that predict a violation of equivalence. Nevertheless, he argues it is important to keep raising sensitivities in case new physics lurks. “Until we get there we don’t know,” he says. 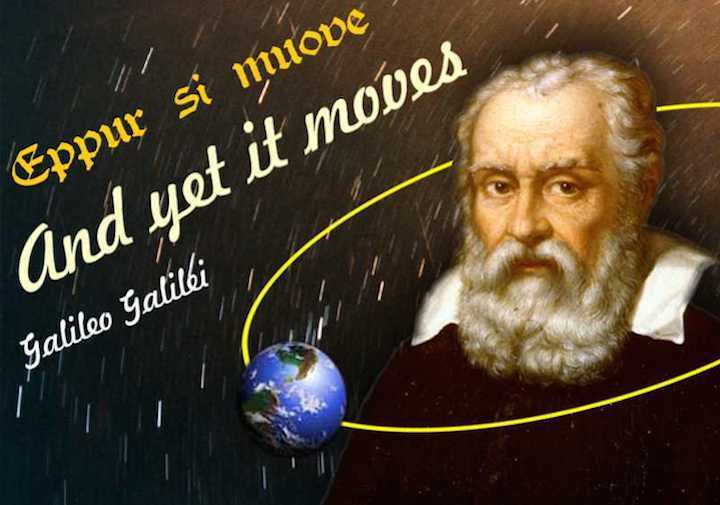 A proposed Italian satellite, aptly named Galileo Galilei, would test equivalence to a precision of one part in 1017, partly by spinning rapidly and isolating any signal from more slowly varying systematic effects. Researchers at Stanford University in Palo Alto, California, have proposed a satellite that aims to reach one part in 1018 using noise-reducing cryogenics. Still other researchers hope to use Bose-Einstein condensates—clouds of cold atoms that behave as a single quantum wave—to reach tight limits. Anna Nobili, a physicist at the University of Pisa in Italy and Galileo Galilei principal investigator, admits that finding the money for another space mission will not be easy. But the latest result “demonstrates that these tests are easy in space,” she says.